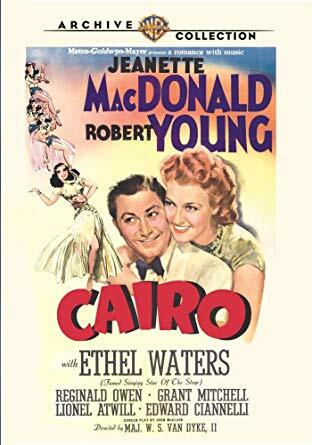 Jeanette MacDonald, Robert Young, and Ethel Waters star in CAIRO (1942), available on DVD from the Warner Archive. CAIRO is a somewhat strange but amusing amalgam of musical, comedy, and WWII spy thriller. Homer Smith (Young) is a small-town newspaper reporter whose newspaper wins a contest which enables Homer to travel to Europe to cover the war scene. His ship sinks but he still makes it safely to Cairo -- but not before Philo Cobson (Reginald Owen), who claims to be with British intelligence, gives him a message to deliver to a mysterious Mrs. Morrison (Mona Barrie) at a Cairo hotel. Performing at the hotel is singer Marcia Warren (MacDonald), who happens to be Homer's favorite movie actress. For reasons too complicated to explain here, Homer soon believes Marcia's a spy, so he applies for a job as her butler so he can keep tabs on her. This leads to a rather amusing scene where Marcia and Homer debate the relative merits of Northern and Southern California; when Homer asks if she's ever been to San Francisco, she replies "Yes, once with Gable and Tracy and the joint fell apart!" The rest of the movie isn't that witty, but it's still pretty amusing, if often meandering; the film's 101 minutes could have easily been tightened up by 10 minutes or so. It just kind of ambles around, getting progressively sillier as Marcia also comes to believe that Homer's a spy, but every so often there's a funny moment or MacDonald and/or Waters breaks into song, and all's right with the world. It's what I think of as a perfect Sunday afternoon movie, nothing very demanding or special, but still nice company to have around. I enjoyed it. 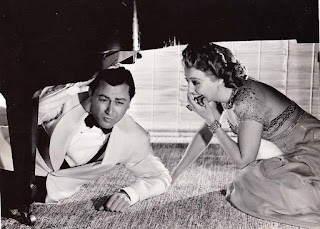 This was MacDonald's last starring role for several years, until she returned to MGM for two more films, THREE DARING DAUGHTERS (1948), which was reviewed here last month, and THE SUN COMES UP (1949), reviewed here in 2017. After that she left the big screen permanently. This was also one of the final films of director W.S. Van Dyke, who had previously directed Jeanette with Nelson Eddy in multiple films. 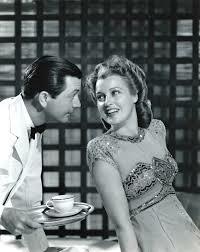 Van Dyke's last film, JOURNEY FOR MARGARET (1942), starred Robert Young and Margaret O'Brien. He was only 53 when he died in 1943. The supporting cast also includes Dooley Wilson, Lionel Atwill, Rhys Williams, Grant Mitchell, and Dennis Hoey. The singers backing MacDonald at one point are the King's Men. CAIRO was filmed in black and white by Ray June. Although I'm definitely a fan of glorious black and white, this was one of the few films I've seen when I rather regretted at times that it wasn't filmed in Technicolor. According to a 2014 post at the Hollywood Comet, it was originally planned as a color film. The Warner Archive DVD is a good print which also has a strong soundtrack. There are no extras.